Plus the people that give him energy. Vijay Kumar: Waking up from a good restful sleep is a time when my mind is clear and new ideas and thoughts emerge. So, I get up and go with the flow. Enlightening concepts and new mental models emerge. Crisp and clear! Sometimes I jot them down or sketch them out, all to pursue later. Helps me start my day with some clear thinking. VK: The inspiration I get from my loving wife, children, family, and students. The thought that I too am indeed inspiring a lot of people around me. The thought that they make the future happen and that I am in such great company! VK: To approach difficult problems, however complex they are, with new perspectives and reframed mental models. Found this to be a useful tool for my innovation projects as well, to be able to challenge conventions and come up with creative solutions. VK: Two books that I read simultaneously, in nineteen seventies – “Timeless Way of Building” by Christopher Alexander and “Design for the Real World: Human Ecology and Social Change” by Victor Papanek. One about a pattern language for creativity and the other about doing good for people, both together fundamentally set the course for my journey through the world of innovation and responsibility. VK: My phone charges, in silent mode, while I sleep. VK: I work on my emails from my laptop on a desk top, never from my phone. I quickly browse through them, flag them, and later get to priority ones when I can. VK: Explore a new space — take a walk through a new neighborhood, smile at a new face, read a new topic, or learn a new skill. Reflect on what I have accomplished or what is on the horizon. Or do anything that I normally don’t do! VK: I do not easily let myself burn out, at home or at work. However, there have been instances, especially when I encounter repetitive and narrowly focused projects. Mental burnout because of monotony and lack of challenge! Having control over my options and being creative about my approaches have helped. VK: I fail in small packages all the time. For example, right now, even as I am writing this piece, I am having much trouble truly turning my thoughts into a narrative as a clear stream of words. Seems a lot is getting lost in translation! I am failing in truly expressing my thoughts! Taking a few breaks, refreshing my mind, making new connections, and doing a few iterations will hopefully help, like “reiterative prototyping” in design language! I know I must learn from my failure, try again from a different angle, never give up, and ultimately reach a better place. 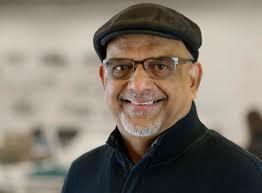 Vijay Kumar is a professor at the IIT Institute of Design and leads the Strategic Design Planning and the Design Methods programs. For more than 12 years he was the chief methodologist at Doblin Inc. (now a member of Monitor Group) a global innovation firm. He has also led his design consulting practice in India for more than 7 years. With over 30 years of global work experience, Kumar has taught, published, lectured, and consulted throughout the world about how to use structured methods, tools, and frameworks for conceiving reliable human-centered innovations and turning them into strategic plans for organizations. His research is focused on framing up emerging innovation opportunities in education, health care, communication, retail, social reform, and emerging markets among others. After completing a bachelor of science from the University of Kerala and program in product design at National Institute of Design in India, Vijay received a master of design from IIT Institute of Design. He is the inventor of many methods, tools, and frameworks designed to uncover unexplored innovation opportunities. Students, researchers, consultants, and business executives around the world have been successfully using some of his tools, such as Analysis and Transformations (A&T), Insight Matrix, and Innovation Landscape, for many years. He consults with companies and organizations around the world for planning innovations using systemic, structured, and user-centered methods. He has consulted with Alamo, Amoco, Autodesk, Bose, Ceasefire, Daishinsha, Hallmark, Kraft Foods, Lenscrafters, Liberty Mutual, McDonald’s, Motorola, Pfizer, Procter & Gamble, SC Johnson, Shell, SAS Airlines, Steelcase, Target, Texas Instruments, T-Mobile, Wells Fargo, and Zurich Financials among others.